Your Patients Are Our Top Priority! 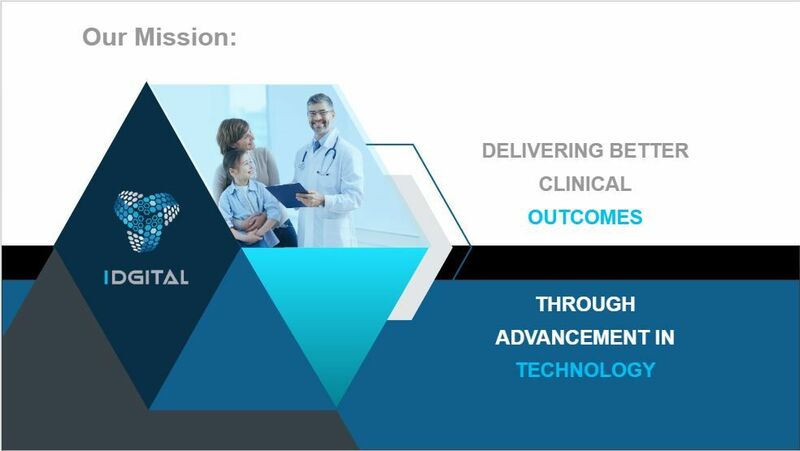 Placing the best technology in the hands of the most skilled physicians is our driving goal. Continuous development and re-investment in our technology is our strategy. 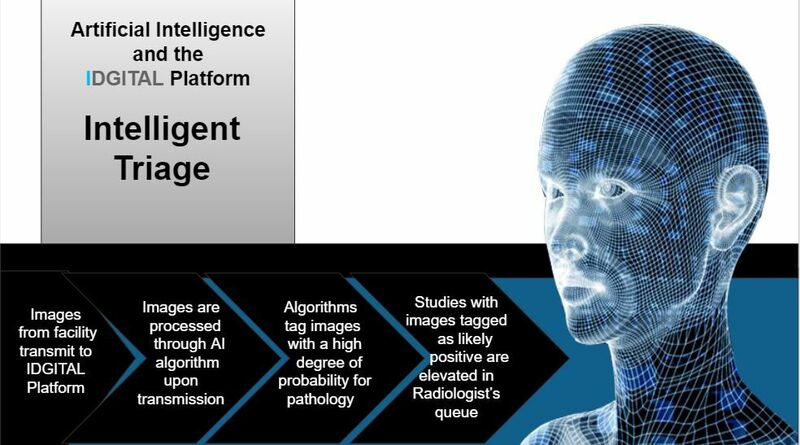 At IDGITAL we have partnered with several of the leading companies in the AI Radiology imaging space to provide our clients with the largest array of FDA approved algorithms available in any single platform on the market. As more algorithms clear FDA approval, they will be added to the platform via a process that is seamless to our end users. 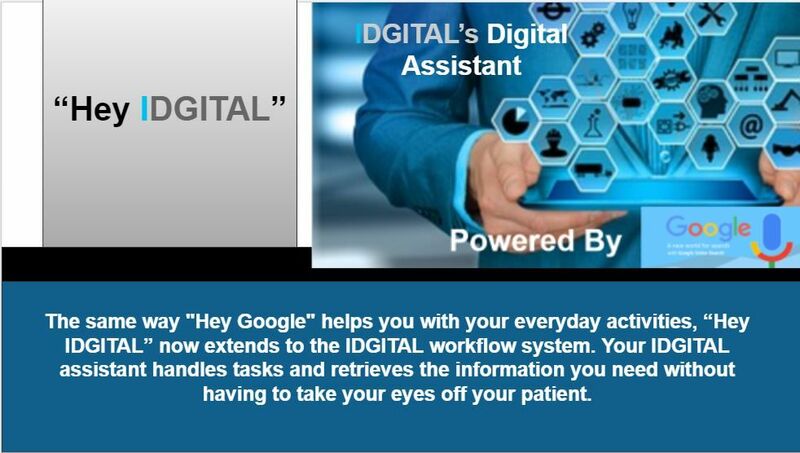 Your IDGITAL assistant handles tasks and retrieves the information you need without having to take your eyes off your patient. 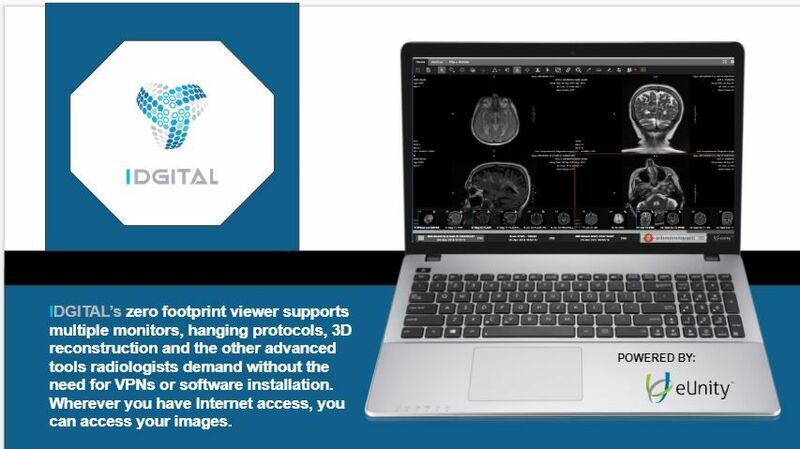 IDGITAL has partnered with E-Unity, a trusted leader in the Radiology viewer industry, to offer the “Best In Class” zero footprint viewer on the market today. FDA approved for all Radiology modalities, including mammography, it offers a single, enterprise and diagnostic solution for all your imaging needs. No more waiting on images to download to your workstation when opening a current or prior study. 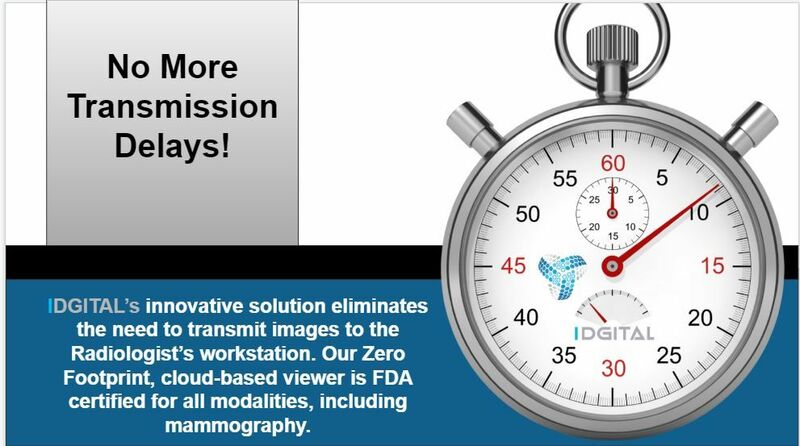 With IDGITAL’s innovative zero footprint viewer, powered by E-Unity, images stream in a seamless, uninterrupted workflow. Every Prior at Your Fingertips! When on-boarding new facilities, IDGITAL uploads the entire facility archive. This allows for access to all prior studies available, instantly. 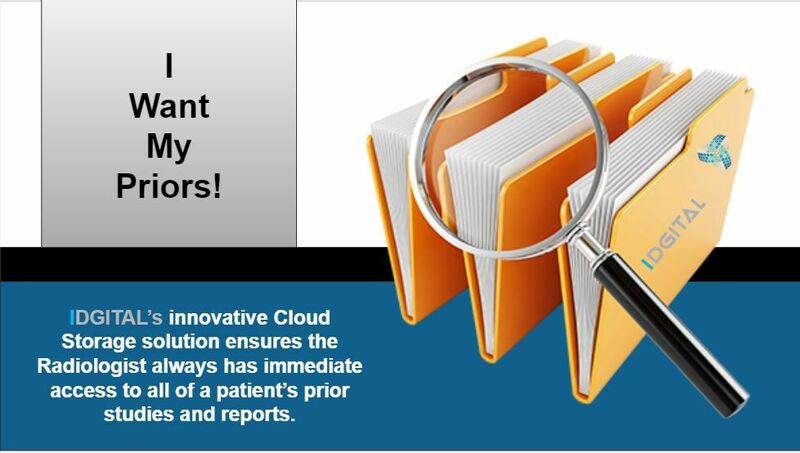 No longer do you need to interrupt the Radiologist’s workflow for missing priors. 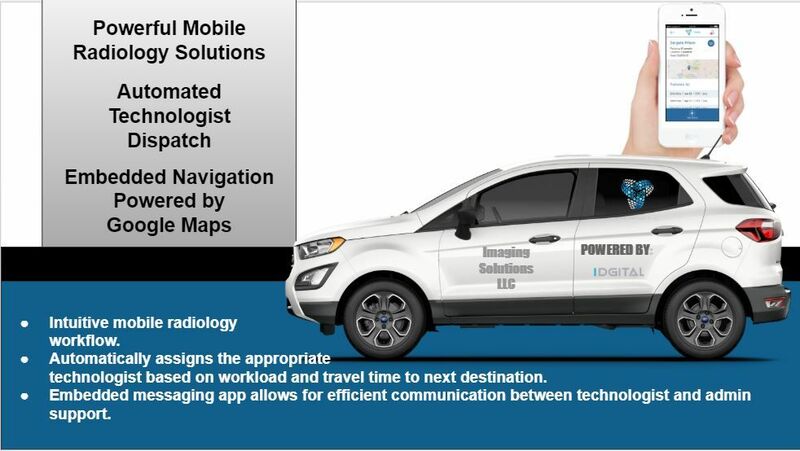 IDGITAL presents the most advanced mobile Radiology platform in the industry. Automated Technologist dispatch, enterprise instant messaging and embedded navigation powered by Google Maps! Being a multi-tenet platform opens new opportunities for practices large and small to share resources across town or across the world. 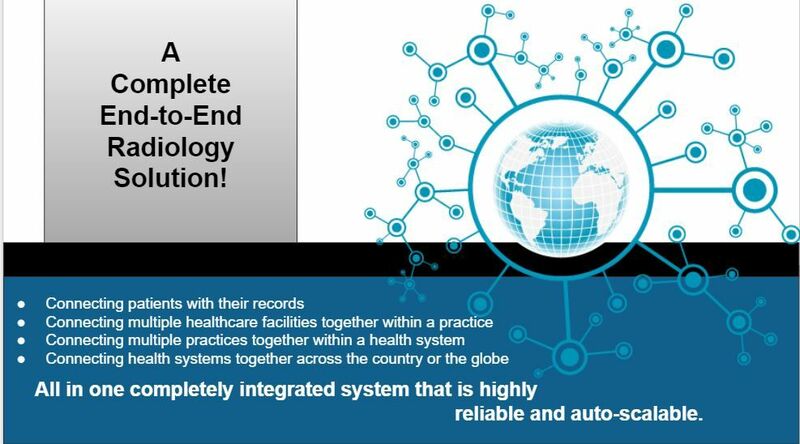 IDGITAL’s “Consult On The Fly” also allows a Radiologist to instantly consult with a colleague anywhere in the world that has an internet connection, while maintaining the security of your data. 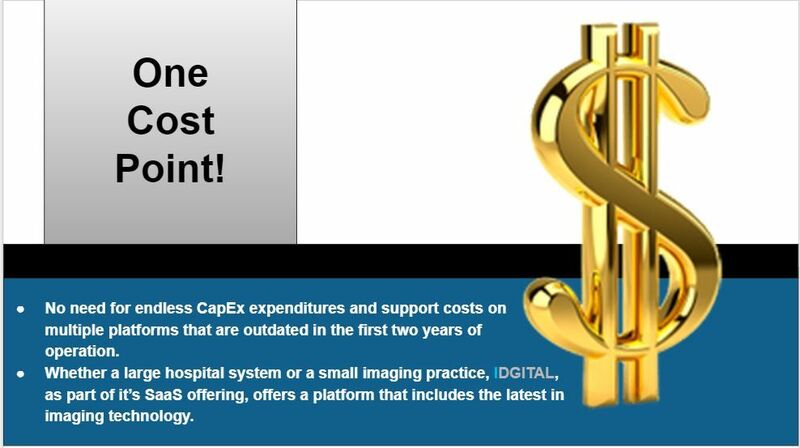 High Performance Cost Effective Highly Available! 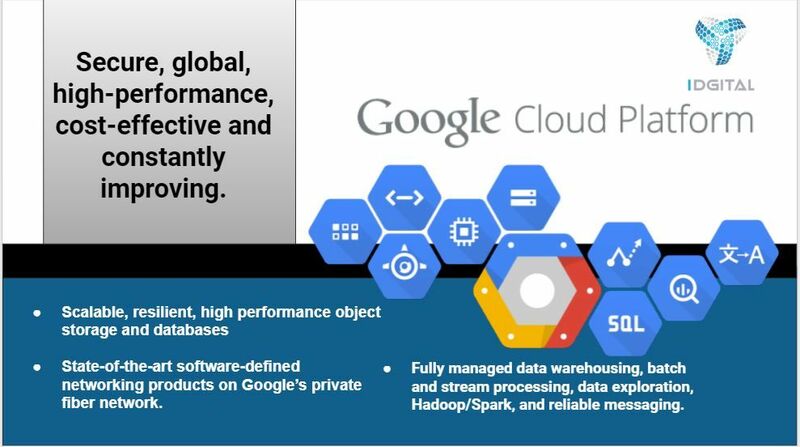 Leveraging the proven performance and innovation of the Google Cloud Platform’s micro-service driven workflow allows for a new standard of speed, scalability and analytics. By utilizing the latest web application technology and cloud storage solutions and removing the need for the legacy siloed hardware solutions, IDGITAL provides the best technology at a fraction of the cost of a traditional PACS/RIS solution. 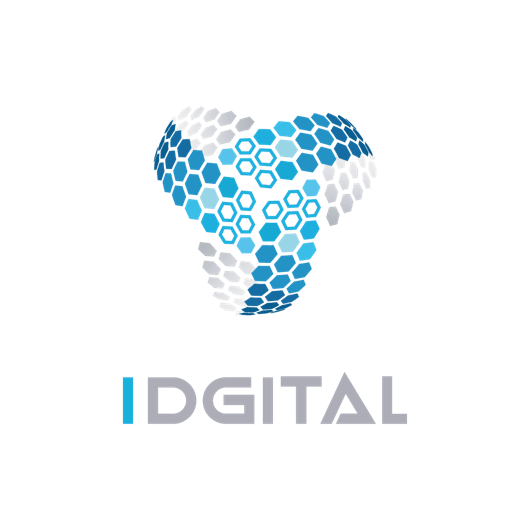 The latest advances and updates will also always be available for no additional cost, making IDGITAL the last platform you will ever need.